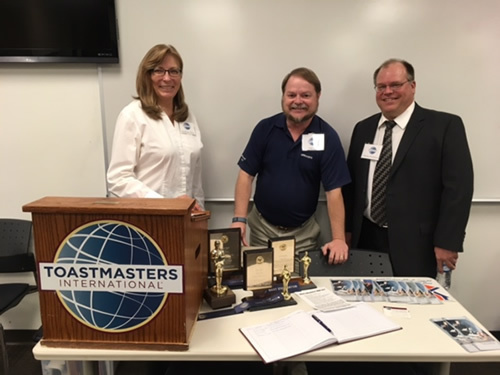 Personally, I believe EVERY student should be required to be an active member in a good Toastmasters club. What an amazing difference it would make. But, this message is about you! Would you give yourself an “A” in your presentations to prospective customers or groups? Be sure to see the map before attempting to find the CTU campus if it’s your first time in the area. We are all students of communication. Come learn and grow with us.